We are delighted to invite you to participate in our National Endowment for the Humanities Summer Institute for College and University Faculty on the topic of “Museums: Humanities in the Public Sphere.” The Institute will take place in Washington, DC from June 30 to July 28, 2019. The Institute is guided by the principle that the nation’s museums offer windows onto the educational, ethical, and cultural debates that define the humanities today. Home to dozens of public and private museums, Washington, DC will serve as a laboratory for our collective exploration of these debates. Administered by The Humanities Institute at the University of California at Santa Cruz, the NEH Institute will be hosted by Georgetown University in Washington, DC. In addition to its convenient location and modern facilities, Georgetown is known for its outstanding program in Art and Museum Studies, its new initiatives in Public Humanities, and its excellent scholarly and logistical resources. In this letter we will summarize the Institute’s intellectual and pedagogical aims and give you a brief overview of the daily schedule. Detailed information about Institute faculty and staff, reading lists and bibliographies, museum visits and practica, library access, housing, participant stipends, and application procedures and deadlines can be found in the pages linked to this website. From Renaissance cabinets of curiosities to eighteenth-century public museums to recent virtual and interactive curated platforms, museums are the public face of longstanding efforts to collect and steward cultural heritage. While museums historically have preserved and exhibited collections of artifacts, new museological practices have moved beyond preservation and exhibition to invite community engagement, where concepts of “history,” “memory,” “culture,” and “public” become subjects for discussion and debate. Current curatorial priorities are guided by advances in humanistic and scientific research, by the speed of evolving technologies, by the effects of ongoing international conflicts, and by ethical demands for accessibility and sustainability. 1) What roles can museums play in promoting new avenues of research and teaching in the humanities? 2) How do museums, as sites of curatorial collaborations and conflicts, both challenge and enable the formation of a cultural commons? 3) How do museums model new ways of producing and accessing knowledge for diverse communities, not limited to those working directly in Museum Studies but expanding to undergraduate students across disciplines? These questions will structure the Institute’s activities, including lectures and seminars by renowned Visiting Faculty, guided site visits to major museums in the nation’s capital, interactive practica with museum specialists, and moderated discussions. 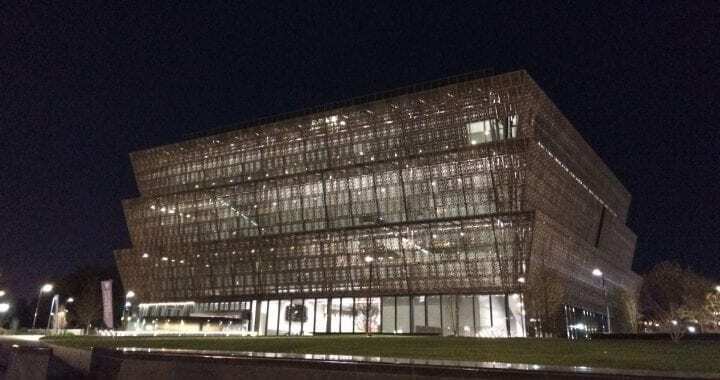 Four major museums will serve as case studies: the National Museum of African American History and Culture, the National Museum of the American Indian, the United States Holocaust Memorial Museum, and the Freer|Sackler Museums of Asian Art. Practica in material conservation and digital imaging and curation will be conducted at the Smithsonian’s Lunder Conservation Center at the American Art Museum, the Smithsonian’s Cultural Rescue Initiative, and Georgetown University’s Special Collections and Gelardin New Media Center. The first three weeks of the Institute will be devoted to the following topics: Week 1) the history of collecting and systems of classification in the founding of museums as public institutions; Week 2) the role of museums in the conflict between cultural preservation and cultural obsolescence in historical, artistic, and social terms; Week 3) the provision of public access and interaction (including actual and virtual spaces) in planning museums and cultural collections. These three weeks are built around the lectures and seminars of six outstanding Visiting Faculty and a renowned Visiting Artist, working together with local Museum Specialists who are experts in their fields. These experts will engage participants in targeted introductions to traditional and emerging methods of museum research, enhanced by assigned readings and site visits that act as case studies. In Week 4, participants will present the results of their own individual projects in a series of moderated colloquia. These projects may take the form of undergraduate syllabi, projects in digital humanities, new areas of research, and creative forms of public engagement (to name a few). Applicants are encouraged to speak to their potential projects in their letter of application. A final seminar will provide an opportunity to discuss the material presented in the previous weeks, including the participants’ own presentations, and will end with an open discussion of directions for future research, teaching, and collaborations at participant’s home campuses and across communities. Housing for participants and our educational meeting spaces in Washington, DC will be at Georgetown University. The Institute will meet there for four weeks, Monday through Thursday (the only exception will be the first week that includes Friday), complemented by site visits to local museums. Participants will have time on Fridays and weekends to work on their own projects, to meet individually with colleagues, to use museum and library resources in Washington, DC, and to optionally travel to nearby curated sites (a list is provided in the Local Museum Resources). The schedule is planned to foster collegial exchange and collaborative work in both formal and informal settings, including dinners with visiting scholars and pre-dinner gatherings. We hope to attract a diverse group of participants whose research and teaching will both benefit from and contribute to a topic firmly grounded in humanistic research and teaching, with the potential for building bridges between the Humanities and the Natural and Social Sciences. Participants who work in diverse disciplinary specializations, historical periods, languages, artistic media, and cultural backgrounds are encouraged to apply. We also seek participants from across the broad spectrum of academic ranks and institutions. Applicants will be judged on their serious engagement with the intellectual and pedagogical aims of the Institute, on the relevance and quality of their proposed individual project, and on their firm commitment to full-time participation in the program. We are honored and excited to be co-directing this NEH Institute and look forward to hearing from you!